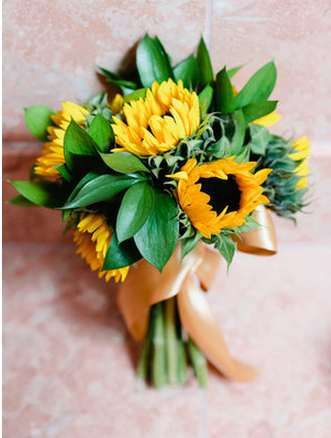 If you like nature, and you like sunflowers, why not turn it into a theme for your wedding? A sunflower wedding theme is a very unique and memorable theme to create. 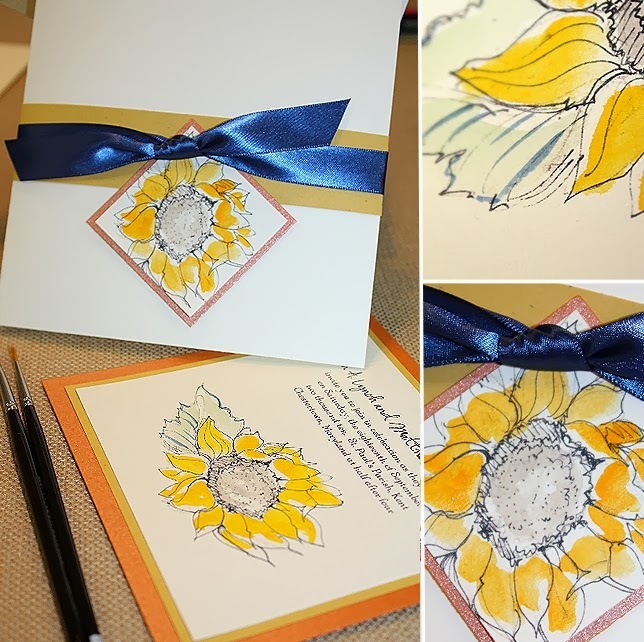 Sunflowers are so majestic looking in the garden when they are in full bloom, and their seeds naturally attract all kinds of pretty little birds, that add to their beauty. This is a fresh new theme that captures the beauty of nature, so have fun with it! * Use various jewel tone colors to compliment too. Show your guests the nature of this theme from the beginning, with the right invitations. 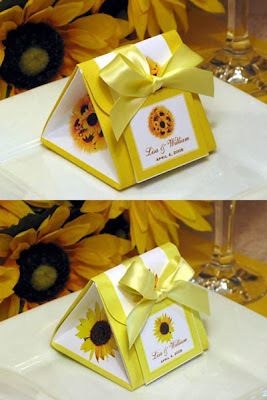 * Make the invitations to look like sunflowers, using both their shape and color. * Place pictures of sunflowers as a background to the wording on your invitations. * Sunflowers and birds together decorating the invitations. * Use a green colored print to give it a nature-like look. Any of the decorations should include sunflowers in some way. * Decorate with dried flowers and lots of sunflowers. Have them placed along the alter and at the ends of the pews. 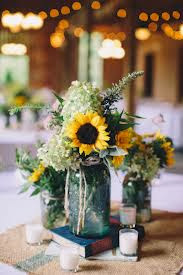 * Use galvanized buckets as vases for sunflower centerpieces. 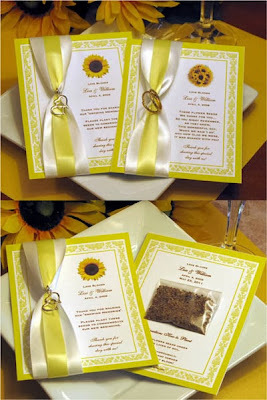 * Find napkins with sunflowers on them to use during the reception. 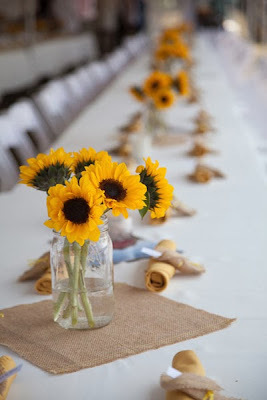 * Place dishes of sunflowers on the tables and have artificial birds sitting by them like they are having a taste. * Float the sunflower blooms in bowls of water as your table centerpieces. 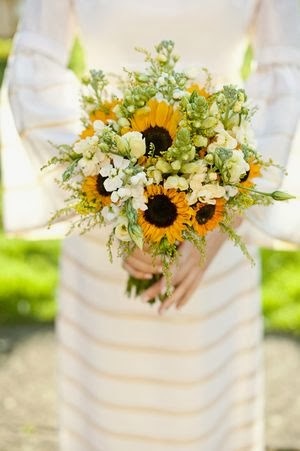 * Have the bride's and bridesmaids' bouquet be filled with sunflowers. 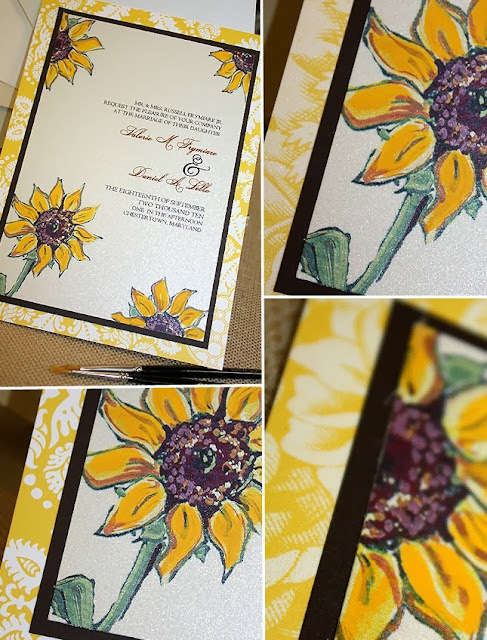 When thinking up the menu, go off a harvest-sunflower theme. Sunflowers bloom about the time that the vegetables are ready for picking. * Green Beans fresh from the garden are yummy. 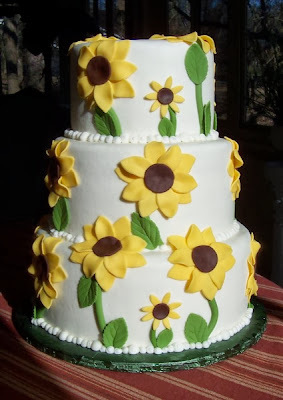 You could do just about any sunflower themed wedding cake you can think of. * Have the sunflowers trailing down the tiers of a layered wedding cake. * Break tradition and have a large single layer cake made to look like a sunflower. 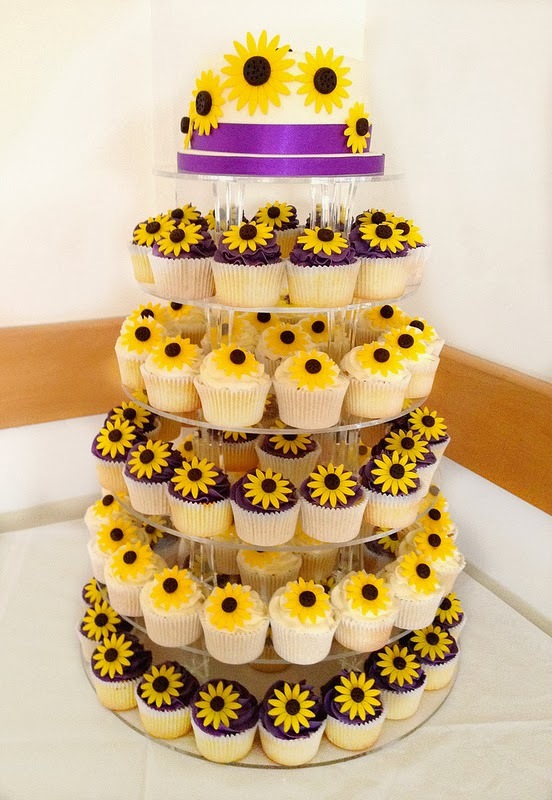 * A traditional wedding cake with a clump of sunflowers as a cake topper and sunflowers scattered around the cake. 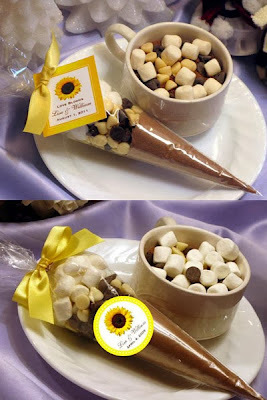 * You can give boxes of chocolate or candy covered sunflower seeds. * A package of sunflower seeds that they can take home and plant. Perhaps add a pot to plant them in. Sunflowers are so versatile they can be used in several locations. * Barns when available have a great rustic charm. * Churches, old and new can handle this theme. * Backyard gardens, especially those containing sunflowers. 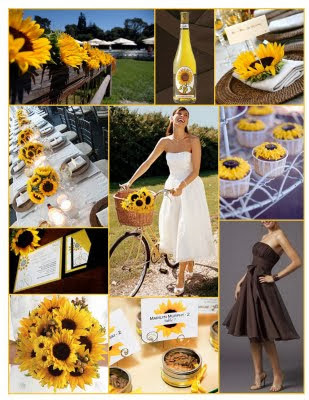 * Beach weddings are great for sunflower themes with the ocean and sand surrounding you. The sunflower is such a beautiful and unique flower to celebrate. I hope these ideas will help you in creating your perfect wedding. Have a sun filled marriage!